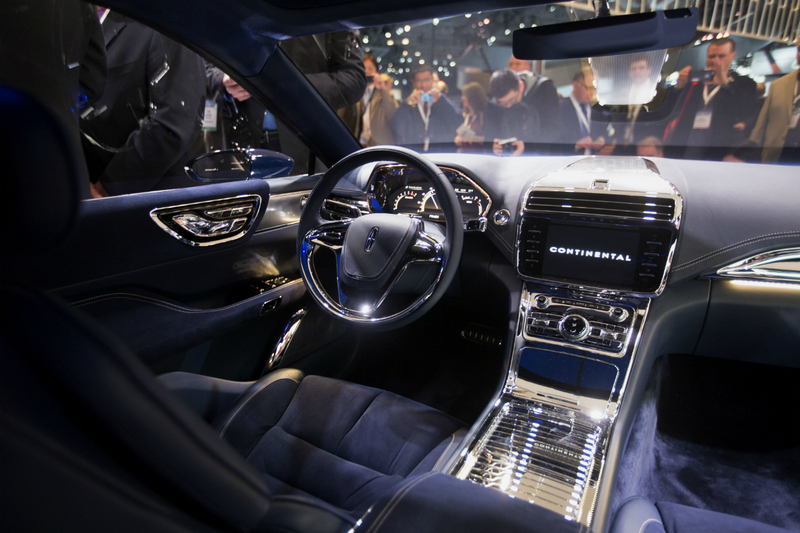 The interior of the Lincoln Continental Concept. Photo by Kevin Hagen/Getty Images. The former has been in business since 1902 and has undergone a major transformation since the start of its second century. From the year the brand turned 100, only the Escalade has survived; their latest vehicle, the CT6, indicates that the brand is not done changing. 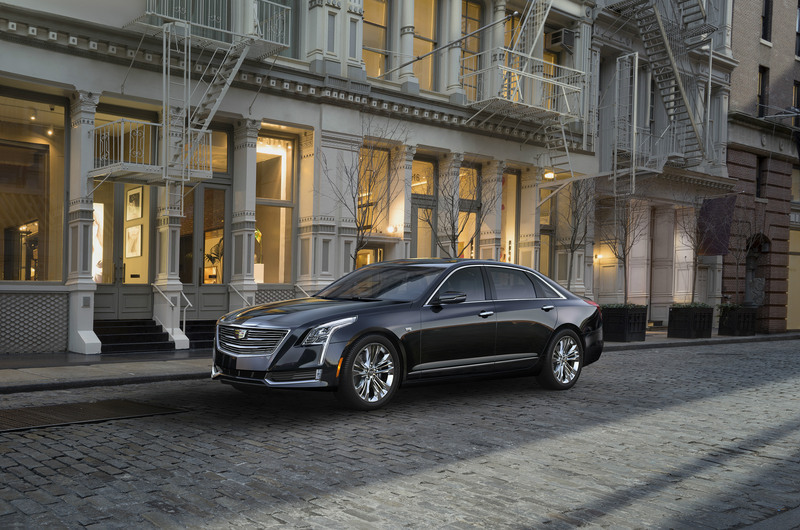 The 2016 Cadillac CT6 becomes the largest car in the brand’s line-up, a sedan that’s comparable in size to the BMW 7 Series but, through an advanced structure that incorporates a high percentage of aluminum, weighs about the same as the smaller 5 Series. The sleek skin is comprised of aluminum body panels, while the structure underneath incorporates aluminum and 10 other materials to create a lightweight, strong vehicle overall. The big sedan will be available with the choice of three different engines: a turbocharged 2.0L four-cylinder, an all-new naturally aspirated 3.6L V6, and the go-to choice for true enthusiasts—an all-new twin-turbocharged 3.0L V6 that’s expected to produce 400 horsepower and 400 lb-ft of torque. “This truly is the rocket science of automotive manufacturing today,” says Johan de Nysschen, president of Cadillac. Inside, the CT6 continues a now-established tradition of luxurious high-tech design. The cabin is ensconced in genuine wood and leather. The innovative features include a large touchscreen with the Cadillac CUE system—handwriting recognition allows you to input addresses with ease—a rear camera mirror that blends image projection into the glass, an optional Bose Panaray audio system with an astonishing 34 speakers, and extended comfort seats with five massage settings. Over in the other corner, there is the Lincoln Continental Concept, a large sedan that was arguably the major surprise of the entire show. With next to no advance notice, Lincoln unveiled the mammoth luxo-barge at an off-site event two nights prior to the opening media day. From the moment that covers were pulled off this concept, the Continental has been a magnet for attention. The head of design for Bentley accused Lincoln of copycatting in the most public way—by posting his insinuations on Facebook. Certainly, the Continental Concept has a stance very reminiscent of VW Group products, including the Audi A8, Bentley Flying Spur, and VW Phaeton. But the new car also makes a strong, independent statement with a brand-new front grille (which may foreshadow a complete design direction change for Lincoln) and an interior that would rival Rolls-Royce for its sheer opulence. The cabin features Venetian leather on the door panels and seats, Alcantara on the armrests and seat inserts, a shearling wool carpet, and a satin headliner. To cap it all off, there’s bright chrome trim on the instrument panel and rose gold around the instrument cluster. What’s more, backseat passengers will be truly coddled by 30-way seats that practically ensure a relaxing ride. With the passenger front seat moved forward as far as possible, the passenger behind can recline his or her seat fully to bring an added measure of restfulness to any commute. Under the hood, this concept is powered by a turbocharged 3.0L V6, but we’re betting this is just a place-holder until the Continental gets slated for production (as yet completely unconfirmed). Adaptive steering and an adaptive suspension system should help make the driver feel appreciated as well. In business since 1917, Lincoln has had its fair share of truly luxurious offerings, but the Continental Concept may be the most luxurious of all. It also seems exactly what the Lincoln brand needs to take the fight to Cadillac—and to vie for the crown of top American luxury carmaker.